With spring right around the corner isn’t it just a perfect time to make this adorable butterfly-winged dress? 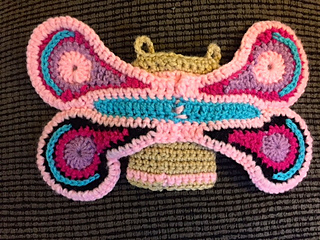 This pattern includes directions for making a straight-line dress with brightly colored butterfly wings attached. 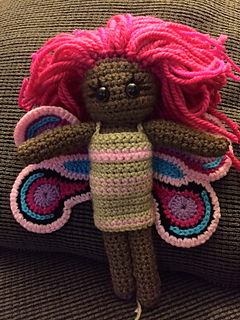 This is designed to fit any of my crochet dolls, but dolls must be sold separately.